Paola Franqui (@monaris_) captures life as it’s happening. The New Jersey-based member of the Alpha Imaging Collective can be found, camera and lens in hand, focusing on unique moments in the daily lives in villages and cities across the globe and close to home through her captivating street photography. Her striking black and white and color images recall famous film photographers of the past so it’s not surprising to find a roll of Tri-X among her bag of state of the art Sony mirrorless cameras and G Master lenses. 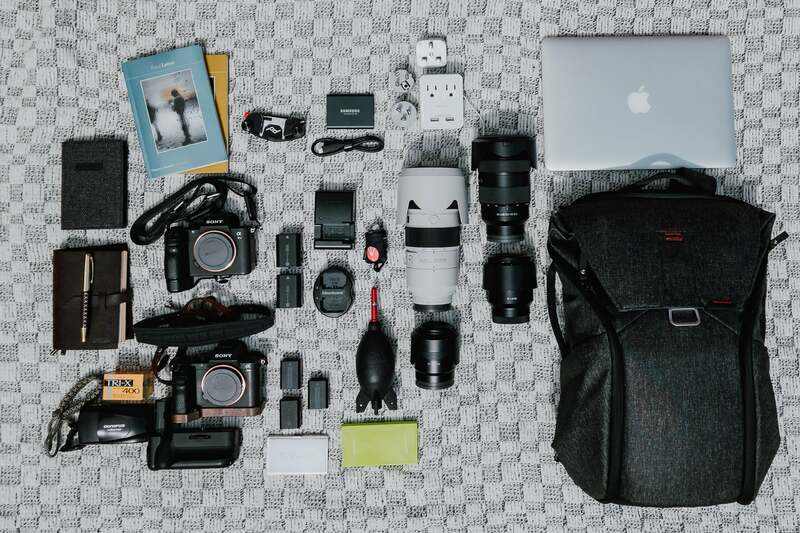 We caught up with Franqui to learn more about the gear she uses most for street photography at home and abroad. Sony α7R III: The α7R III is my go-to camera that I use on all of my travels. It gives me superb image quality, great flexibility in terms of handling low light, action, and wide dynamic range. I use it for both photo and video. Choosing the best camera can be tricky, but I truly believe this is the best full frame camera available today. Sony α7R II: I use this camera as a second body especially when I don’t want to be switching lenses. I don’t think I will ever want to sell my α7R II. It’s a wonderful powerhouse. 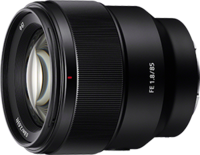 Sony FE 55mm f/1.8: The 55mm f/1.8 was the very first lens I ever purchased. I’m very attached to it. This is a must have lens, superb image quality, color, contrast, quick accurate focus, and super lightweight. Sony FE 85mm f/1.8: This lens goes everywhere with me. As a street photographer, I’m always on the move and one of the things I love most about my new 85mm is how small and lightweight it is. I shoot a lot wide open and I’m also very impressed by the sharpness at f/1.8 and its creamy bokeh. My favorite! Sony FE 24-70mm f/2.8 G Master: This lens is everything I ever wanted in a lens. It’s great for portraiture, street, landscapes, product shots, etc. It’s very sharp and it lives on my α7R III 80% of the time. Its size and weight are a good tradeoff for the sharpness, quality and fast auto focus. Sony FE 70-200mm f/2.8 G Master: I love working with this lens. It’s essential to me when I want to focus more on my subjects and create a more visually compressed scene. This lens is worth every penny! Sony GP-X1Em Grip Extension for my Sony α7R III: I don’t know why it took me so long to get this but I am so glad I finally did! This grip extension really helps out when holding my camera with a larger lens. Sony Battery Grip for my Sony α7R II and Extra Batteries for my Sony α7R II and Sony α7R III: You can’t have too many batteries and I don’t leave the house without them. Street Photography Books: Most photographers underestimate the power of a good book but they sure keep me inspired! Memory Cards and Case: The last thing I want is to run out of memory so I always carry extra memory cards with me. Sony USB Portable Power Supply with 5000mAh Battery: This powerbank is a great and handy device. It works for when I can't get to an outlet and it charges fast. Kodak Tri-X 400 and Olympus Stylus film camera: I love shooting film when traveling. That old school feeling is just very enjoyable to me. Peak Design Everyday Backpack: This is my favorite travel backpack. It is perfectly designed to match my needs. It fits everything you see on my travel kit! Samsung T5 Portable SSD: The T5 comes with me on all my travels. It is perfect for backing up my content on the move. My workflow has gotten much quicker since I started using it. Poweradd Travel Adapter Kit: I absolutely LOVE this adaptor. It has several adapters so that it can be used in whatever country I am visiting. Peak Design Capture Camera Clip V3: A well-made, sturdy mount that allows me easy access to my camera. Dust Blower: It has helped me immensely and I trust it to blow off dust and debris. It leaves the lens/lens filter clean and clear. A must have! Peak Design and Ona Straps: My faithful companions for both of my cameras. 13” MacBook Pro: I carry my laptop with me everywhere. It’s lightweight and it makes editing on the go and being able to backup my data that much easier. Notepad and Pen: My travel journal and diary. Cleaning Cloth: Gotta’ keep those lenses clean! Business Cards: When I hand someone my business card I make a physical connection that feels more authentic. Call me old school! July is Portrait month at Alpha Universe. See how you can be part of the #SonyAlphaPortrait challenge. Click here to see #SonyAlphaPortrait on Instagram. Paola Franqui is a member of the Sony Alpha Imaging Collective. Follow all of their adventures on Instagram https://www.instagram.com/monaris_/. Is This The Perfect Street Photography Lens?